It is a known fact that Saudi Arabia is the largest producer of oil in the world. The country processes around 25% of the petroleum reserves of different countries of the world. Despite of these oil riches, the government of KSA always encourages the growth of private sector. In this way, the dependence of the country on oil can be reduced. As a result, the business owners are opening up more and more firms. Thus the employment opportunities are also increasing in the country. The banking sector of Saudi Arabia is quite stable. The country did not face much disruption even at the time when there was a global financial crisis. Tadawul, the Saudi Stock Exchange is presently the largest stock exchange in the Gulf region. It is keen for attracting foreign participation, though up to a limited level. The stock exchange also remains interested in developing the derivatives market as well as for starting up future markets to sell the products other than oil. Therefore, it can be a great business idea to start in Saudi Arabia. Seeing “Agriculture” as a business startup idea in Saudi Arabia is definitely surprising, since you wouldn’t have heard about it before. Well, it’s true that the soil and climate of KSA does not support most of the food crops. However, there are some of the food crops that still survive in spite of the harsh atmospheric conditions of the country. The examples are wheat, barley, date palms, etc. Going for a startup of the business of wheat in Saudi Arabia is one of the unique business ideas in Saudi Arabia in 2019. You can earn a lot of money by cultivating wheat and barley both on medium and small scales. The sector of healthcare is flourishing constantly in the country. This is because the government is continuing to finance the healthcare for the growing population of the country. KSA has one of the largest markets for selling the medical products and the healthcare equipment in Middle East. There is a thought of catering the unmet demand of healthcare services throughout the Middle-eastern world. So it can be a great business opportunity in Riyadh and other cities of Saudi Arabia. The interaction of Saudi Arabia is continuously increasing with the Western countries. Many qualified professionals are coming from foreign country to work in different firms of Saudi Arabia. For that reason, the people of Saudi Arabia are in a great need to learn the English language. Having a grasp of both the languages, i.e. English and Arabic, you can earn a handsome amount of money by arranging “English Tutoring Sessions”. It is a great idea for business in Saudi Arabia without sponsor. There is a great demand for purified honey as well as the processed beverages in the country. Therefore, there is an excessive potential in such a kind of business. People consume honey in Saudi Arabia because of the therapeutic advantages. Almost every citizen of Saudi Arabia takes honey as least once a week. You see, how lucrative it would be to sell the product! Home cooking services is one of the latest trends that the women of Saudi Arabia have started to adopt. If you are a housewife, you can spend your time in a very productive way. If you are good at cooking, then it’s going to be great. You can start selling the dishes from your neighbors and the people you know. Later on you can expand the business. Once you earn a good reputation, you will surely start getting more and more orders and your business will be expanded. It is one of the best small business ideas in Saudi Arabia in 2019. According to Forbes, there is a great role of women in starting up new businesses in the country. You all know about the extreme hot climate of Saudi Arabia. This climate is perfect for the production of solar energy. The Government of KSA also encourages the investments made for the creation of solar power as an alternative source of power; thus reducing the pollution produced by fuel consumption. It can be a great business idea to make an investment in the sector of the production of solar energy. Related: How to Start a Solar Energy Business? Saudi Arabia has one of the largest markets of Information Technology in the Middle-Eastern world. The enterprise and consumer end markets are strongly growing. There is a tremendous public investment on education and health. This is paving the ways for the systems of advanced security and technologies in KSA. In short, the value of IT market is rapidly growing in the country. 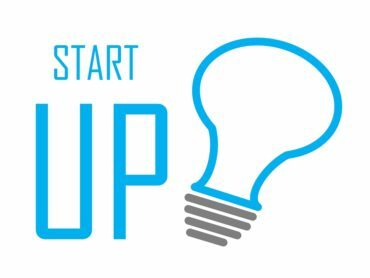 Therefore, a business startup with the background of ICT can be the most potential ideas in the present year. You can pursue this as an online business idea in Saudi Arabia, as well. As mentioned earlier, the climate of Saudi Arabia is very hot. This hot climate encourages to access the new sources of water and to find ways of utilizing the water in a more effective and efficient way. The industry of water in the country is a major user of energy; thus creates the carbon impact that needs to be seriously tackled. This is offering great opportunities to the companies and the people willing to startup a business related to the water and waste sector in KSA. Usually the youngsters seem to be more interested in such a kind of business. However, it cannot be taken as a general rule. The young people of Saudi Arabia mostly prefer hookahs rather than having alcohols. The business of Hookah bars in Saudi Arabia is legal and it is growing. You do not need a great initial investment to start this business. The first thing you need to startup your business is the courage. There are many business stories that can motivate you not to lose hope even in the worst scenarios. Good Luck! How to Start a Business in Saudi Arabia?